Apple cider vinegar (ACV) is known as a home remedy. Apple vinegar is believed to be able to treat various diseases, such as sore throats to varicose veins. In recent years, some researchers have looked more closely at apple cider vinegar and its possible benefits. Apple cider vinegar is actually apple juice, but yeast is added which converts fruit sugar into alcohol, so the apple vinegar is fermented. Vinegar is famous for its ability to kill many types of bacteria and viruses. In fact, it has been shown to reduce the number of bacteria to 90 percent and certain viruses by 95 percent. Reporting from Healthline, a type of bacteria known as Propionibacterium acnes, contributes to the development of acne. 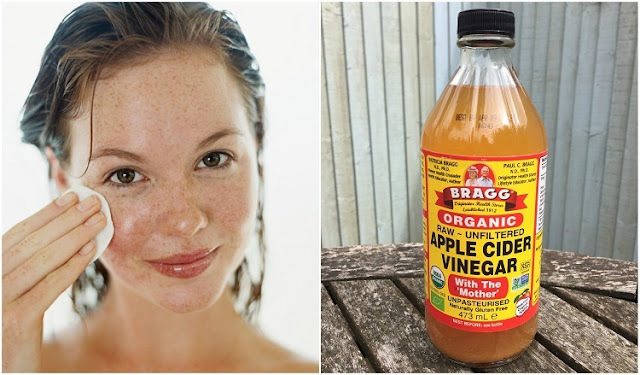 Although there isn't much research on the ability of apple cider vinegar to fight acne bacteria, there are several studies showed that apple cider vinegar contains an organic acid. Apple cider vinegar contains acetic, citric, lactic and succinic acid, all of which have been shown to kill acne bacteria. Still from Healthline sources, when we apply apple cider vinegar directly to the skin, some of the organic acids found in apple cider vinegar have been proven to work. The process of applying organic acid to the skin is often referred to as "chemical peeling". Acid removes the damaged outer skin layer and promotes skin regeneration. In particular, chemical peels with succinic acid have been proven to suppress inflammation caused by acne bacteria and can help prevent scarring. skin in individuals with superficial acne scars. For those who are starting to worry about wrinkles, try using apple cider vinegar every day on your face. The acid content in apples provides benefits to reduce fine lines that appear on the face so that you will look young, charming, and attractive. As mentioned above, apple cider contains natural Alpha Hydroxy Acid which helps encourage the formation of new skin cells so that you will have beautiful, bright and charming facial skin. Not only that, the AHA content is known to be able to shrink the pores of the skin to make the skin smooth when it’s touched. The AHA content also maximizes the skin pigmentation process which makes your facial skin bright.